8am-outside air temperature - 73 degrees, warming to 82 degrees by noon and a pleasant 80 degrees at 6:30pm during the wedding ceremony. No rain and a pleasant breeze from the east at 10 mph with the setting sun providing a gorgeous backdrop for the event. Private Party-Observation Deck at the International Fishing Pier in Deerfield Beach including the wedding reception at Oceans 234. Crew-Seventy-five friends and family of the bride and groom. 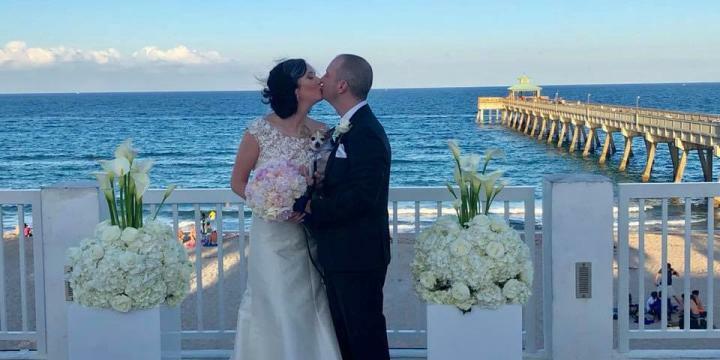 The setting was perfect…the couple exchanged vows on the observation deck overlooking the ocean and the Deerfield Beach International Fishing pier. The ceremony, with the guests, were in the shade of the building, while the setting sun illuminated the beach in the background. A gentle breeze kept everyone cool as they watched and listened to the reverend bless the couple. As the father of the bride, it was great pleasure to walk my only daughter down the aisle, giving her hand in marriage to her fiancé. After a brief ceremony and exchanging of vows, it was a walk down one flight of stairs into Oceans 234 restaurant where the festivities continued. Having the reception in the outdoor area made it a very special location, surrounded by lots of friends and family. Of course, being our daughter’s wedding, made today the best ever. Having Deerfield Beach, the location of a Destination Wedding is wonderful because of the vast amenities available to support such a fantastic event. While the bride and groom selected the observation deck for their weeding, there are other suitable locations for a wedding. There is another area on the south beach located near the Embassy Suites that is designed for weddings. This area overlooks the ocean with the beach directly below the deck. Both the Embassy Suites and Wyndham will even accommodate weddings directly on the white, sandy beaches of Deerfield Beach, where everyone can wiggle their toes in the sand. 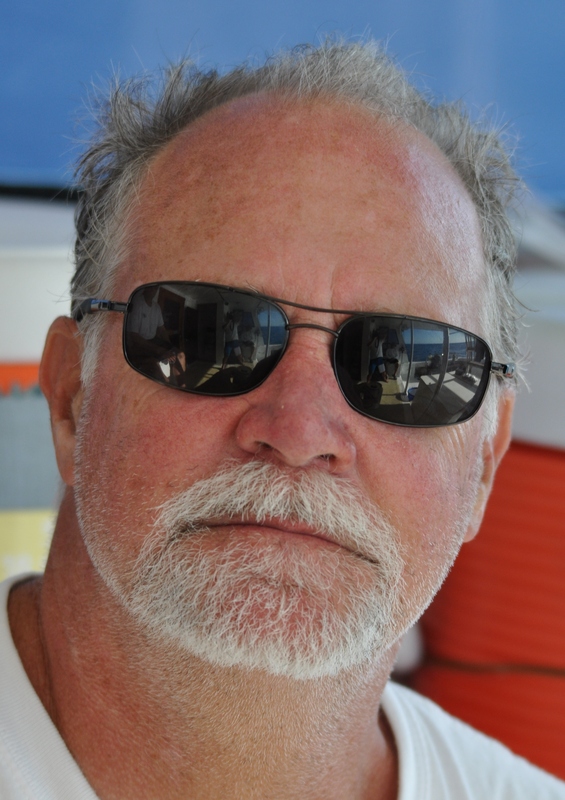 In the case of our daughter Jennifer’s wedding to Fin Barnes, he is from London, England and most of his family stayed at the Wyndham, located directly across the observation deck at the pier. A group of his friends rented an Air B & B home complete with a second floor of bedrooms and pool for entertainment. These accommodations were all within walking distance to the many restaurants found along the S-Curve in Deerfield Beach. No need to even rent a vehicle as everything was a brief walk in the immediate area. Most of his family and friends made a vacation out of the wedding, staying for one-to-two weeks, and visiting many surrounding attractions. A Destination Wedding in Deerfield Beach is a perfect location for family and friends to enjoy the many activities while participating in beautiful event.